I can’t believe it’s time to start thinking of the Summer Holidays, again! It doesn’t seem so long ago (last Summer holidays) that I was buying school uniform and getting ready for this term. However, we are being very ‘green’ this Summer holiday and not travelling anywhere. I am impressed by our ‘green choice’ but have to admit that it’s also due to the fact that I’m heavily pregnant!!! I am therefore thinking about ways to entertain my daughter in a fun, green and economical way. Believe me it takes some thought! 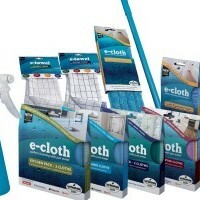 This isnt just throught he great range of EcoHip Eco Friendly Products either! The weather will be a determining factor – if the weather is good we’ll be doing lots of walks, park days, picnics, etc. However if it’s not I think we’ll have to do them anyway with wellies and raincoat on. I have discovered that my daughter really loves nature and is so happy to do some of the basic things many of us have forgotten about. Last week the weather was beautiful so we walked to a communal garden (where I know one of the residents), and after bumping into a few people we knew on the way, played some ‘old fashioned’ games. All the kids who were different ages had so much fun, they laughed, they got exercise and they were thoroughly entertained. They played the old classics; what’s the time Mr Wolf, Grandma’s Footsteps, running races and all the races they’d learnt from sports day! I felt a real sense of joy watching kids just enjoying themselves the way they should – without toys, without continuous snacks, without any materialistic things. All the kids had a sparkle in their eyes and gorgeous rosy cheeks. Unfortunately the next day it poured, but wanting to continue our new outdoor regime (admittedly only 10 minutes this time) we jumped in puddles (very Peppa Pig) and had a quick scoot around the block! Another good day was collecting leaves and flowers on the heath by our house. Once our bag was full we walked home and then my daughter was fascinated to look up the names of the trees and flowers. I don’t mind her using the computer for this but don’t like how so many kids spend so long playing computer games. She then put the flowers in vases and used the leaves to stick on paper and make pictures. (using recycled paper of course) We’ll be doing this again in the holidays! Play dates are also great, a few kids playing together feels like a treat to them and let’s you off from playing with them for a while. I have also heard that there are some activity groups who teach kids about the environment and living a green life etc. I guess it all depends on what your kids are into but if you are staying in England and want to do camp do it locally so you can walk, or if not try and do a rota with another kid so only one car is on the road. My daughter has chosen a cooking class – it’s great as they make their own lunch and come home with freshly baked cakes, cookies and bread. At least you know they are fresh ingredients. Sports Camps look good too and from a green aspect they’re great. Check out local theatres to see what’s showing, often good deals during the Summer even with West End Theatres too. Our chosen place of activity is always painting pottery. Again try and find a local one and remember whatever your child paints you get to keep and use. Over time we have all got our own mugs and have also made plates and dishes as presents too. If you have a grandparent’s birthday it’s a great idea, your child has had fun and you have a gift sorted too. So if you are staying at home this Summer take a trip down memory lane and try and remember how you spent your youth – my happiest memories are playing outside. I loved skipping, painting, playing with water (we should save this) but if your child wants to play with water let them water the plants but not waste it. I remember the boys just being happy to have a football. There are so many adverts for so many toys and unnecesary things that we sometimes get sucked in and forget that kids can just play with other kids and use their imagination. I am shocked to see so many kids with Ipads, touch phones etc etc. Although some play educational games I don’t they are good socially either. You see too many kids with their heads buried when eating in a restaurant with their family. Call me old fashioned but I think this is the time to talk and enjoy each others company. I worry the next generation will not have good social skills with all the texting and emailing that goes on – let’s start talking again. Oh and if your school fete is coming up remember to check out the 2nd hand school uniform sale – recycle, recycle, recycle! I’ll bookmark your blolg and check again here frequently. Hello everyone ! Do you think too this website is wonderful ? Hello ! Do you have a newsletter ? I really like your products like ecosopaia !